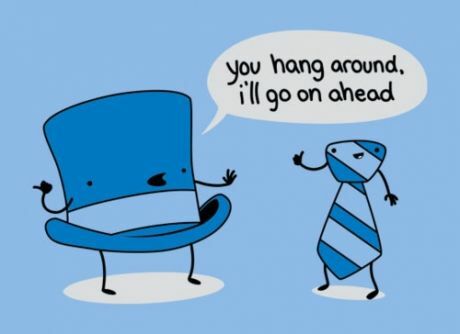 A Not So Humorous Friday. I pray for those who are mourning, I pray for those who have been affected, I pray for each of us, God help us all.. I wasn’t going to post today’s Humor Me Friday collection today, but for the sake of my own Child* who looks forward to this post every week, I will post it and hope to tug a smile or two. Now what are you going to do, hmm? And my protest continues! I do not understand how three circles, or and x, or any of that can turn into a nose! I refuse! I protest! There’s got to be a better way! There’s got to be an intelligible tutorial out there somewhere! *Calling my brother “my child” probably doesn’t help my endeavors to clear up the fact that I am 18 and happily married to my studies any….But the fact still remains that when I say, “The Kid” or “My Child” I am really just using my brother’s “pet name” if you will… The fact still remains I am not a mommy blogger, I am single, I have no kids. (Don’t get me wrong, I love kids and I do dream of having my own someday…but today is not that day..nor tomorrow..nor the day after that…etc. Love the posts Larissa! Friday was horrific, and I know that many are still in shock. Going to school Monday and seeing my students further drove the tragedy of Friday into my heart. Which is why I VERY much appreciated the smiles! 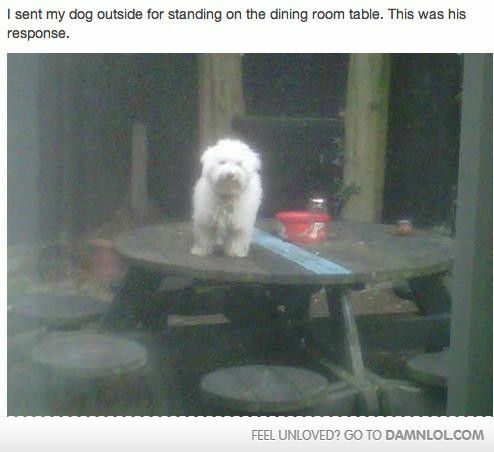 Love your dog on the table! Such a sad, terrible day. But thank you for making me laugh in the midst of all of the sadness. 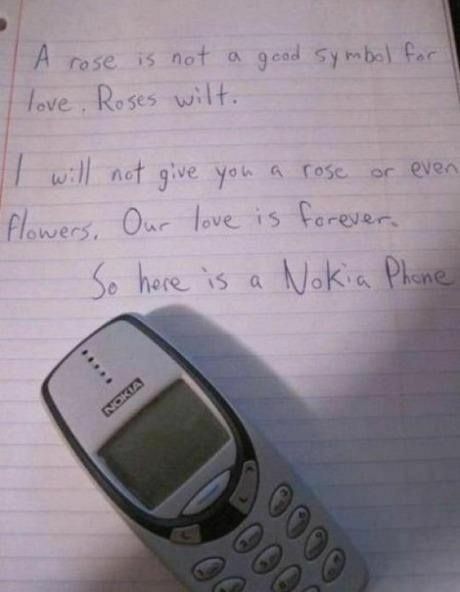 Loving the Nokia phone one….and it's very true, roses wilt! We were watching the reports unfold on the news…it's devastating! Larissa, I feel your pain on the drawing of a nose, hand or any other body part such as that. One of the problems with tutorials is they do not start at the beginning. They all start after the practice. I can make sense of this tutorial because I spent a lot of time drawing. Part of the problem is that tutorials are trying to help people draw. They never explain that what they are trying to show you is how to see. 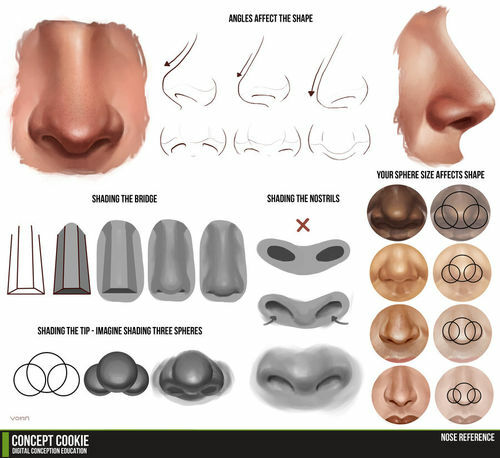 This tutorial is all about how to see noses, not how to draw them. In a simple series of pictures they are trying to show you how to see the shape, how to see the shadows and how to create the illusion of three dimensions using only marks on a piece of paper. Plus, it is trying to help you unlearn the symbols that comics, cartoons, coloring books, and well meaning art tutorials have taught you. The problem with a tutorial that would really help teach to draw noses is that a large part of the process is practice. While my tutorial is on hands, the same process would apply to noses. Thanks for posting your funnies anyway. 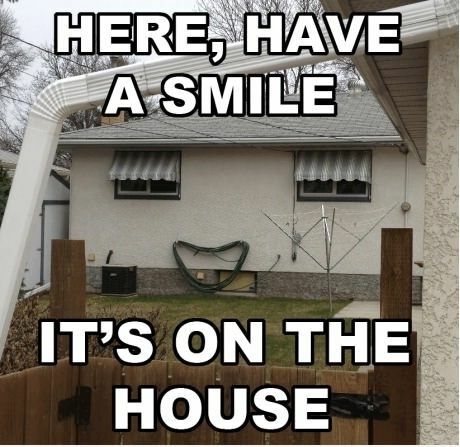 I love the house, too. Do you get accused of being a mommy blogger? Ha! You know what's funny? No one ever accuses me of that. Random. Perception is a funny, funny thing.